2018 - 05 - Spring Market Sneak Peak! Enjoyed having the opportunity to give a brief demo at the Odessa Spring Fling quilt show last week! I hope many of you got out to the show and enjoyed the many beautiful quilts. This past weekend I had the joy of presenting a quilt to my 3rd grade teacher. I was in her very first class, 44 years ago! Several of us from that class came together and enjoyed lunch with her and also presented her with a photo book that shows what each student that we could find has done over the past 44 years. This is a perfect example of why I make quilts. She made a big impact on all of our lives --she cared a great deal about our intellectual/academic growth and about knowing Jesus. It was a small way we could say thank you. If you read last month's newsletter, you know that we needed to replace our long-range vehicle. We've successfully found one! So, all logistics in my future seem to be resolved for now, yeah! 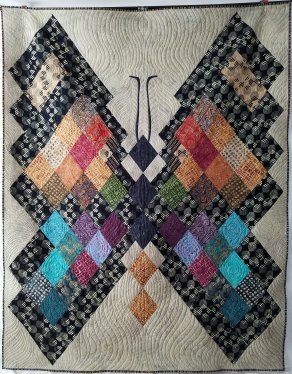 Closed May 4-10; and 16-18--> at Spring International Quilt Market. Yes, this twice a year event is being hosted in Portland, OR this spring, so it is easy enough for me to go. If you have anything you've been looking for and would like me to do some searching, please let me know by May 14. I'll also be helping out with Jayme Crowe's (Bella Nonna Design Studio) Schoolhouse and Demo on behalf of Island Batik which will have two of my new designs -- Cusco Alley (inspired from my South American trip last year and Spirit Butterfly (uses the Boondoggle Ruler from Bella Nonna Design Studio). If you are attending, please stop by Island Batik's booth -- #2049, pick up the new catalogue, order patterns and fabric and be inspired! Here is your sneak peek!! This is the first public reveal of these fabrics and designs. What do you think? 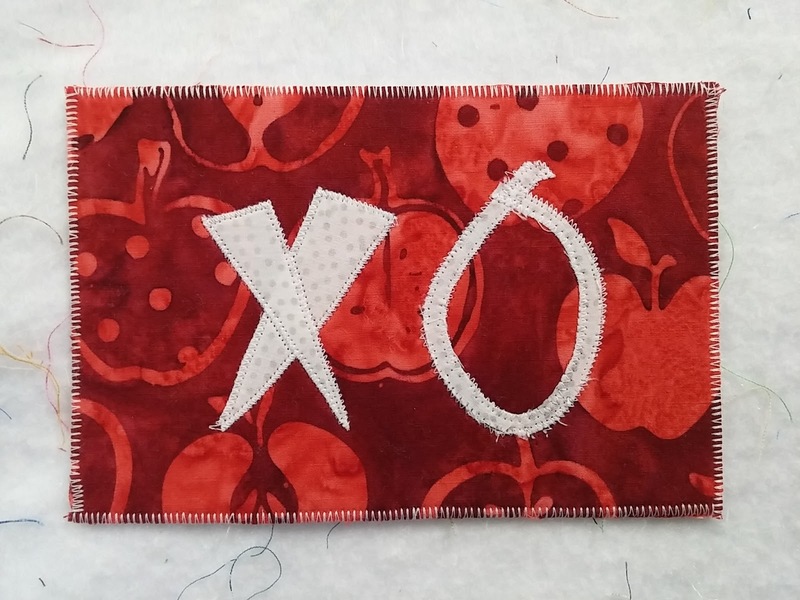 We are gearing up for a 5 year anniversary celebration here at KISSed Quilts -- save the dates June 10-15 and 17-22, schedule to come to the shop on one of those days (don't forget June 21 Row by Row Starts!) and watch for details next month. If there are any particular techniques or projects that you'd like to have as a class, gather your friends who are interested and we'll schedule a class that works for you. Costs will be determined based on number of students and time needed for the project. Want to add all kinds of colors to your stash? Northcott's Toscana line is my color wall at the shop. I've had several inquire about pre-cuts of the entire line. The smaller sizes you can get all at once. The larger sizes you can sign up for the club and get 10 - 12 pieces monthly (each vertical is a month). Yardage by the SKU $8.50/yd -- orderable via the website too.